As with every subject matter, there is an interesting story somewhere to be told, and casinos are no different. Whether it is Don Jonhson’s incredible blackjack wins or the MIT Blackjack Team, who used card counting and sophisticated strategies in order to win big against casinos at the blackjack tables, there will be gamblers who tell you of the industry’s most incredible and bizarre stories. 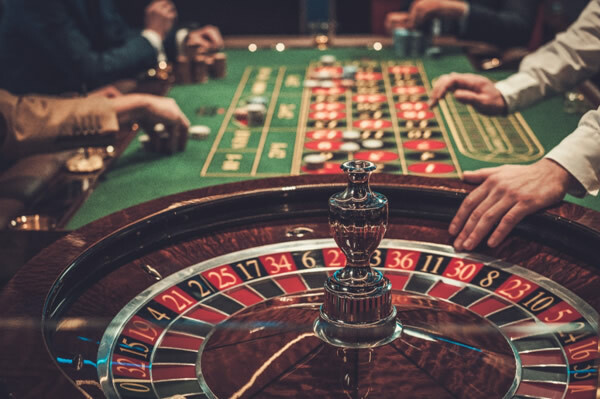 Here, we will provide you with four stories you need to read before you visit a no deposit casino again. All is not quite as it seems in this one. Although both JC Alvarado and Olivier Busquet are professional poker players, they didn’t enter the cage completely untrained as Alvarado had previously trained in MMA and Busquet had trained in Brazilian Jiu-Jitsu. They decided that rather than have a six-figure bet on poker, they would lock horns inside the cage in order to settle the bet. It was Busquet who walked away as the victor and while they’re unlikely to make it in the UFC, the pair put on an entertaining fight for the crowd. Birmingham’s Grosvenor Casino unveiled the world’s smallest casino when they converted the back of London cab in 2016. This was part of their “playyourway” campaign, which was a celebration of the extraordinary summer of sport. The casino has everything you could possibly need: a casino table, a bar, a dealer, and internet gambling facilities. In what was a nice touch from Grosvenor, people who wanted a trip to the casino could get a free ride, while those wanting to travel elsewhere could donate to the company’s chosen charity – the Carers Trust. Ashley Revell is a name that rose to prominence in 2004, when, as part of a Sky One reality mini-series called “Double or Nothing” he sold all of his possessions at car boot sales and auctions and took his $135,300 to Las Vegas. There he visited the Plaza Hotel & Casino and proceeded to bet it all on red. The roulette landed on red seven and Revell doubled his money. With his winnings, he set up an online poker company in the name of Poker UTD. In 2012 the company went out of business, proving that for every bit of good luck, there is also bad. We’re all aware of the delivery company FedEx. It is arguably the biggest delivery company in the world, but things weren’t always so peachy for them. Back in 1971, FedEx’s founder, Frederick W. Smith, took his own $4 million fortune and managed to raise an additional $90 million to found FedEx. The original structure was created to allow the company to deliver packages overnight anywhere in the world, something which would have been revolutionary at the time. Rising fuel costs in the following three years forced the company to the verge of bankruptcy, and with just $5,000 left in the company account, Smith took a trip to Las Vegas. The money left in the account was unable to finance the fuel needed to fly their planes and so the risk was minimal for Smith. He played blackjack at the casino and came out with $32,000, which was enough to cover the cost of fuel for the planes for the next few days. In those nail-biting few days, Smith was able to secure more money to keep the company running and now the company is worth in excess of $15 billion and Smith himself is worth around $5.4 billion.